I'm afraid I haven't had an awful lot of time to post new articles. 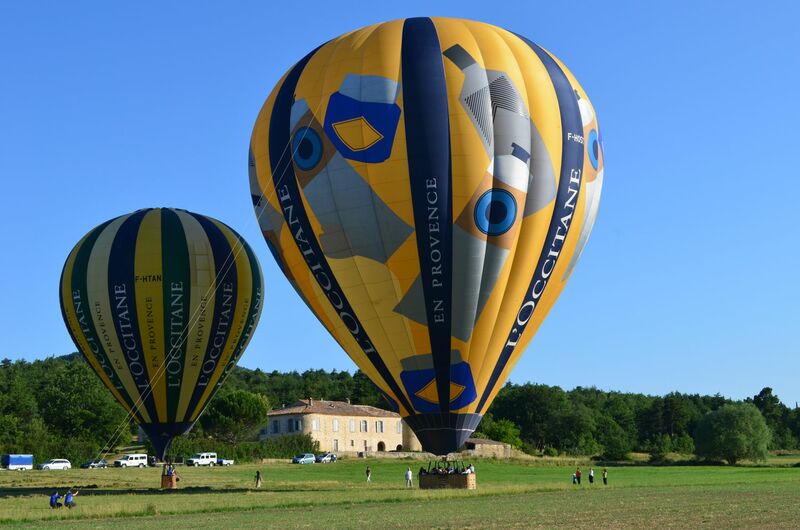 The subject matter is there, but our services for made to measure travel in Provence have become rather sought after. 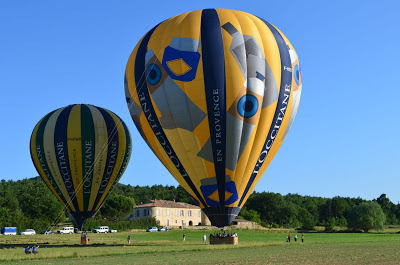 But I always have my camera with me when I am on the move so here are a few pictures taken over the last couple of weeks so you can see what I have been up to and which may well explain why Provence is so very popular. 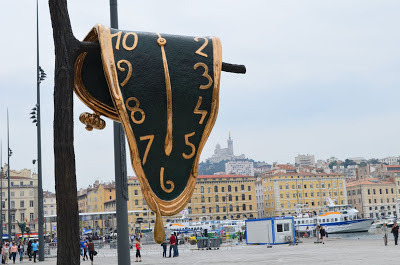 Marseille is the big subject this year, you can see my post Marseille 2013 - Getting Ready to see why. 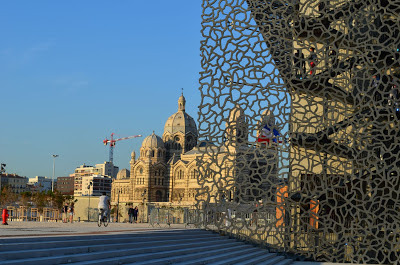 As European Capital of the year the city has indeed undergone a transformation and I can recommend a stroll arround the Old Port past the Fort St Jean and to the J 4 the name given to the area where the MuCem (Museum of Civilizations From Europe and the Mediterranean) is to be found. There is a man with a trolley who sells cold drinks and peanuts salted (a lot) by him. Everything is a Euro or at least was when I last saw him! When in Provence there are certain monuments and sights that cannot be missed, despite the crowds and the Papal Palace of Avignon is one. It's a bit like going to Paris and not seeing the Eiffel Tower. A very good audioguide is available in most languages so you can visit at you own rhythm. Another site difficult to avoid is the 12th Century Abbey of Senanque near Gordes. Here the visits are guided and in French. 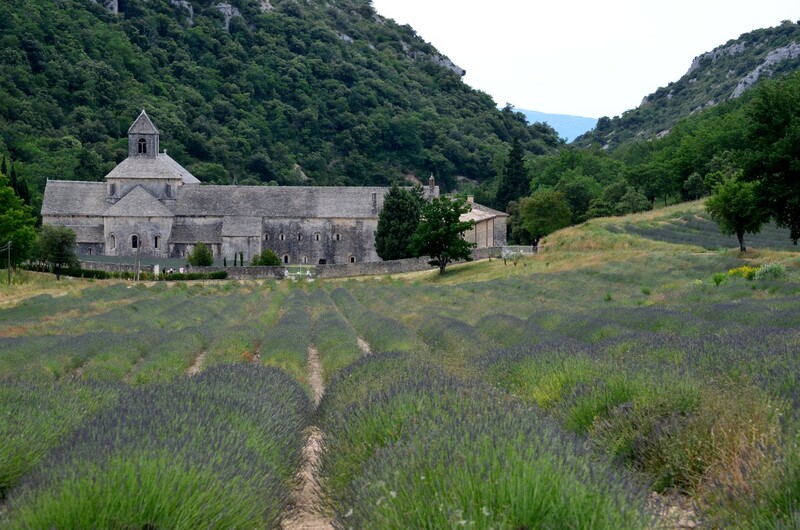 However many come to see the Abbey from the outside and the lavender fields that grow there. The produce from these fields can be purchased in the Abbey shop. The Provençal market! need I say more. 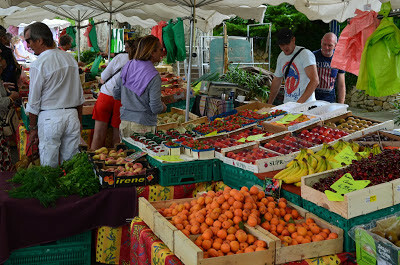 Why markets seem more colourful in Provence than elsewhere in France I don't know. I'm not convinced that they do really... The Lourmarin market is great and is on every Friday. Here is a new project that is already gaining in popularity. If the idea of 18 holes on some of the regions most prestigious courses appeals then give me a call! But if you would like to spend an afternoon on a 9 hole Pitch and Put course set in a very pretty valley then come to Niozelles near Forcalquier. Warning! 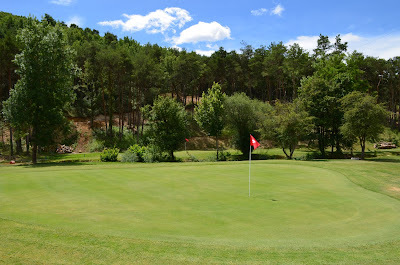 Most of the buildings are still being finished so it looks like a bit of a building site when you arrive but don't let that put you off, the course is fantastic. 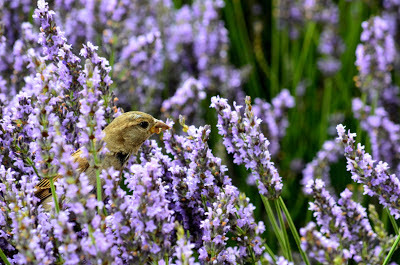 Ok, in the photo it could be anywhere, but I couldn't resist this close up of a very happy sparrow finding his lunch in the 4000 lavender plants on the port of Marseille. As I said earlier in this post, Marseille is the place to be this year! 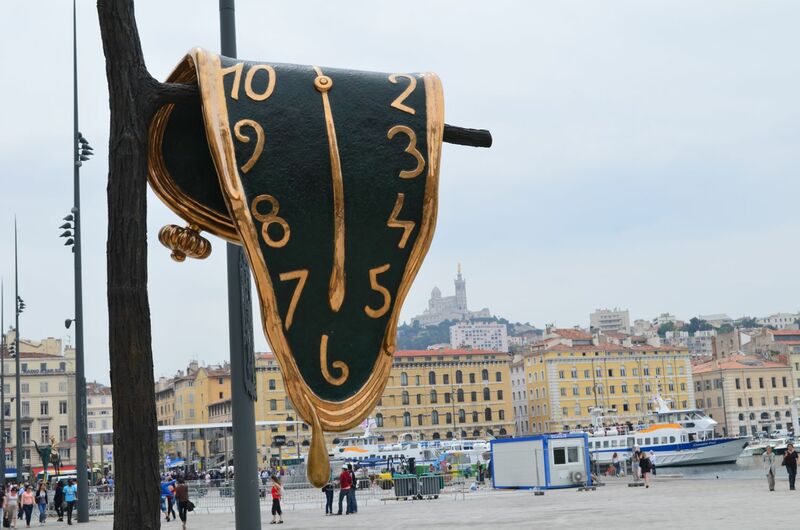 At the moment a series of slulptures based on Salvador Dali's work can be found all over the Old Port. 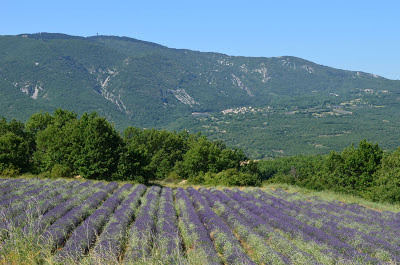 Driving home I thought I would take a peek at the state of the lavender in the Luberon valley. I particularly liked the view in this photo taken close to the village of St Martin de Castillon on the noth side of the valley. Opposite is the Luberon mountain and the village of Castellet. So there you have it my ramblings for the last few weeks, I will try and sit down and get something a bit more topical on paper as soon as possible. Love the photos and miss Provence! Thanks Jennie, you're welcome to come back any time! 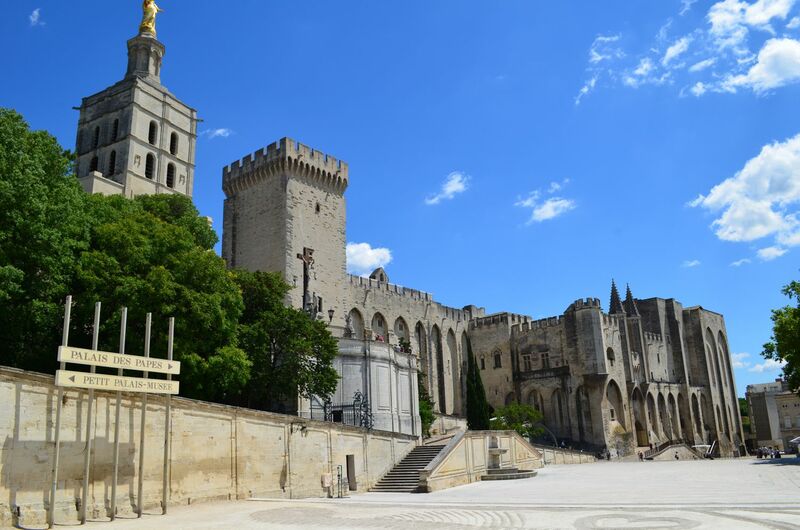 Gordes is a really nice village and the Abbey of Senanques is a must-see! Your photos are very beautiful too ! Thank you Julie I often send my clients to Gordes. There are some lovely hotels to stay in too!